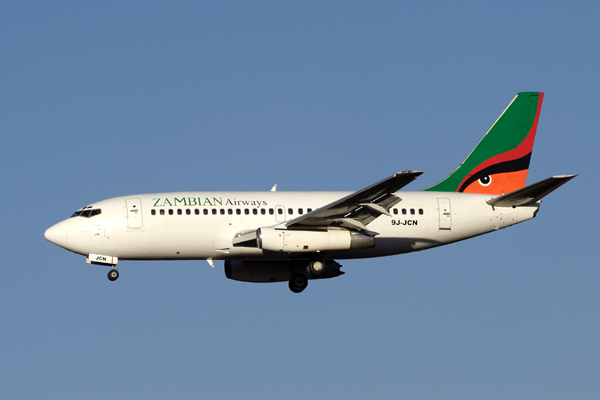 The Zambian Chronicle has learned that the first phase of investigations into the Zambian Airways saga has been completed and the docket has been forwarded to the office of the Director of Public Prosecutions for consideration. Inspector General of Police, Francis Kabonde, revealed that the probe looked into the alleged failure by Zambian Airways to remit passenger service charges to government as agents of the National Airports Corporation. He also disclosed that a warn and caution statement has been taken from all directors of Zambian Airways. They include the two Nchito brothers and Post Newspapers Editor, Fred Mmembe. He said investigations into other areas of operations by the airline are continuing. The investigations are being carried out by the police, the Anti Corruption Commission and the Drug Enforcement Commission. And Mr. Kabonde has reiterated that the investigations are not targeting any individual and appealed to the public to be patient. He also said the investigations have nothing to do with politics. I have seen this play several times, first force the incumbent minister to resign and then go after the culprits. I don’t see Mmembe and the Nchito Brothers off the hook this time around … just the kind of stuff you find in the movies. The findings are on “speed dial” now that Dora Siliya is gone and ba bashemula! Wonder how much they are spending on the investigations? Pa Zambia palyafya, wouldn’t be surprised if the cost of investigations is more than the cost of one plane!! it nice to know that we have qualified people to look for details in such matters. Ken, they will be off the hook my dear. The RB govt has overdramatised this issue. RB is desperate to prove he is tough and to simply satisfy his small bruised ego after the Dora saga. The whole thing has not been properly thought through. RB has been all over making silly accusations about ZA owing $30m to govt when it is just $5.6m. He claims this money would have been used by govt for health and education. Lol! This money afterall is owed to Investrust, NAC and DBZ three separate legal entities from Rupiah’s govt. The questions that arise are 1. What attempts have been made by the creditors to settle the bills? 2. Did ZA refuse to pay back the money? 3. Did the creditors seek redress in the courts? 4.What has become of this process?5. Did the creditors allege theft of monies by the the Directors of ZA 6. So in what capacity is govt suing the Directors? 7. Shouldnt it be the creditors who should be suing? The most probable reason why the Nchito brothers have been mute is that they know they stand on terra firma. RB has carelessly played all his cards. The Nchitos havent played anyone of theirs. If I were Banda I wouldnt be so sure….